To all our followers we felt it was time we made some decisions after such a wonderful time on Wyuna. This year has been quite eventful; Sue’s job was made redundant after the TAFE cuts in Victoria. We moved from Point Lonsdale to Bunbury in Western Australia to be with Beth & Nick so Sue could support Beth during her pregnancy. We had the passing of Malcolm’s father, but we had a new grand daughter to bless our lives. So what do you do, you buy a boat in the Caribbean as did Bruce & Gina. We are now the proud owners of Kool Kat (see photo below). Kool Kat is the same as Bruce & Gina’s 47′ Leopard; ours is not the owner’s version but the four cabin version that is used for chartering. We are very lucky that Texan friends we met on our last adventure were ready to retire after 5 years of sailing the Caribbean. We knew the boat and also how well John and Linda maintained it and the equipment; they also added a substantial amount of extra bits and pieces to make it a very special boat. During the purchase phase I joined John & Linda in Sint Maarten. We sailed from island to island to Grenada which was over 360nm which gave more than enough time to learn everything about the intricacies of Kool Kat. Click on link to view some pics of my trip. 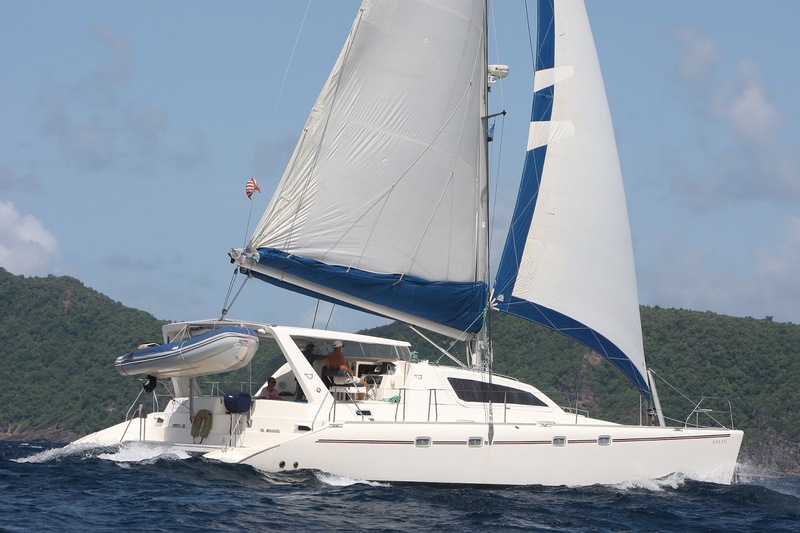 We are now downsizing and working towards boarding Kool Kat in February 2014 to start our Caribbean journey. She is currently in Grenada for the hurricane season.